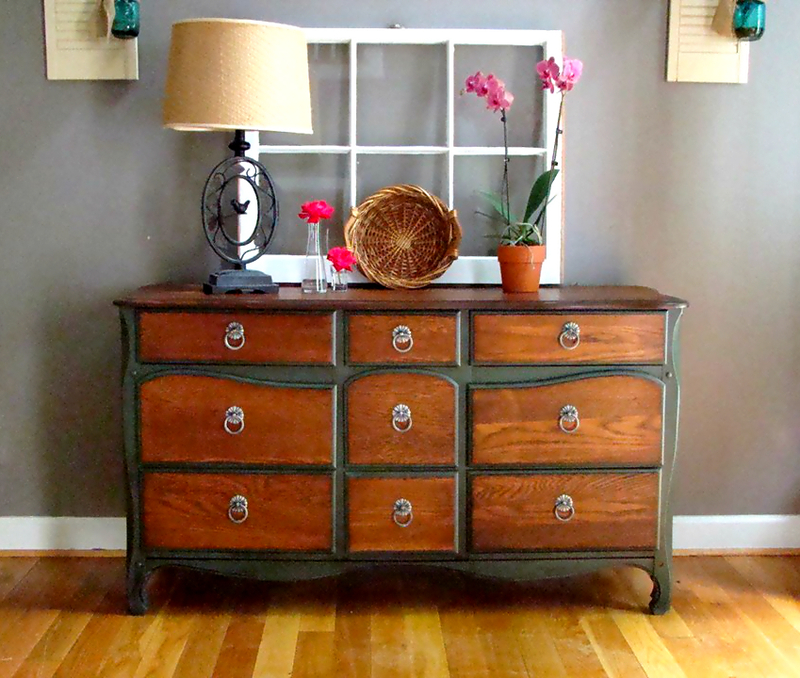 How gorgeous is this vintage buffet refurbished by Theresa at House of Krafts?! Theresa used Antique Walnut Gel Stain and OFMP in Sea Green on this beauty. Theresa says, "Finished this lovely oak dresser using General Finishes Antique Walnut Gel Stain to highlight that beautiful wood grain!" We love it!